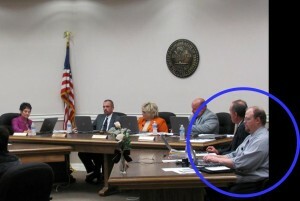 Here is Mr. Richardson working hard as City Recorder during the November 2010 meeting when the new board members and mayor were sworn in. During the past year, people have directed criticism at city officials because there was not a full-time city administrator. But there was someone at the helm all along. Bruce Richardson, the assistant administrator / city recorder, had been appointed to serve in the interim capacity last year. At the time that he was appointed interim city administrator, Mr. Richardson already had nearly 19 years of city experience working in LaVergne. A couple of weeks ago we saw that he had become a certified municipal finance officer, something that the state wants all local governments to have at least one staff member certified in. This certification, along with his Bachelor’s degree in business administration degree and his work history with the city of LaVergne, make Mr. Richardson uniquely qualified for the position. 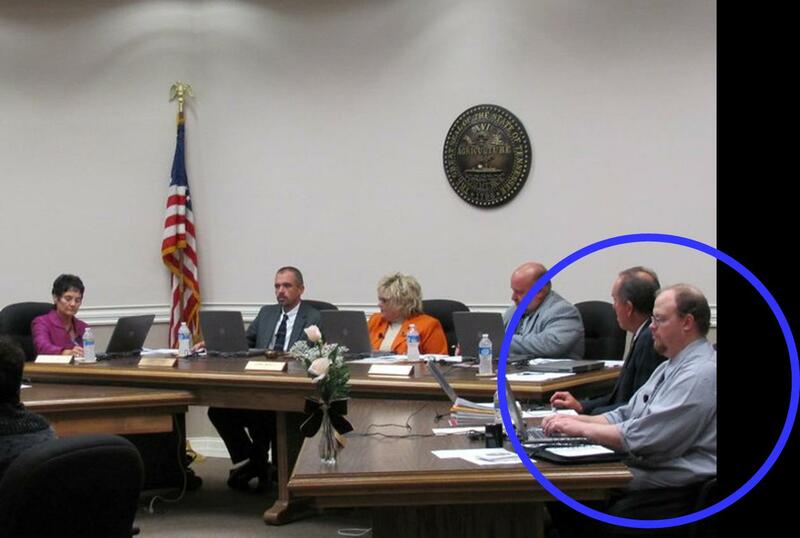 It is obvious that that Mr. Richardson cares deeply for our city. Kudos to the Board for their unanimous vote in appointing him to this position. Our thanks to Bruce Richardson for his stellar performance as interim during the past year and for his entire 20 years of service to the city of LaVergne! And our sincere welcome and congratulations on his new “official” position! ← City Wide Trash Service? Thank you for your recognition and support. I do look forward to the challenges of this position, however I must give credit to those that deserve it – the city employees. The operation of this city is a team effort and we have wonderful employees that are out and about doing all of the hard work that is necessary. The employees are the ones fixing water or sewer lines, working on our streets, fixing our ditches and keeping our streets and neighborhoods safe from criminals. We have a great group of department heads that are operating their departments in a professional manner and making sure that things are done properly. I couldn’t and wouldn’t be successful without them and I appreciate everything that the employees and department heads do! We still have a lot of work ahead of us, but I know that with their help and dedication, La Vergne will be a better place to live, work and play! I have had the pleasure of working with Bruce for a little more than two years. He has most definitely earned his place at the table and it’s very exciting to be a part of his team!